Do you love food and preparing it? 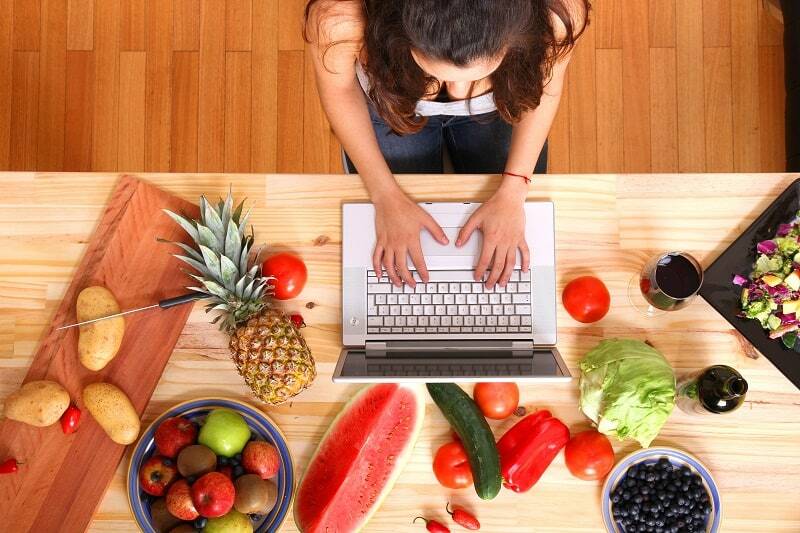 Or do you want to start a food blog, but not sure whether it can make you money or not? Then, this article is completely dedicated to you. It’s very easy to keep your food blog unique and also explore it in a cost-effective manner. If you can follow this article you will completely know how to become successful enough in your full-time job. You can even make more profit out of simple food blogging. For people who are interested in trying different sorts of recipes and reading them food blogging is the apt resource. At this sort of blocks are popular in recent days and or even easier to monetize. 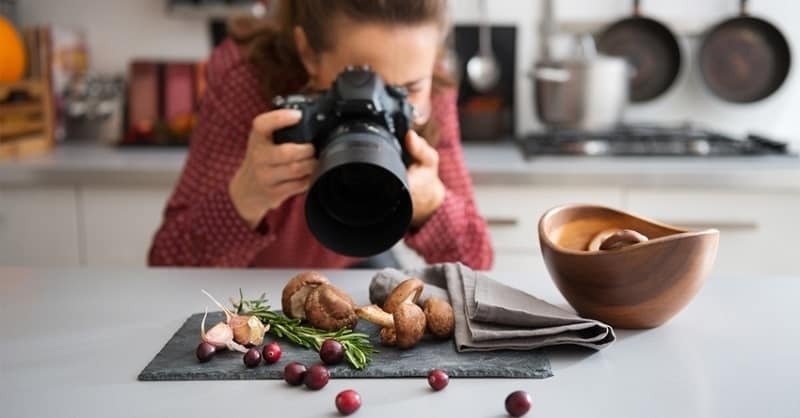 If you are really ready to start a beautiful food blog then, there are two options available for you. You can either hire a web designer design the blog based on your preference. Alternatively, you can also do it by yourself which is more cost-effective. Before you start blogging you have to get access to the WordPress. If you are well known then you can set up a self-hosted WordPress on your own. Scaling factor to improve the blog. Once you are ready for the above requirements, then you can easily start your blog. Follow the steps below and you will easily catch up making an interesting food blog. First get a blog on your own and then purchase the matching domain name for it. Next, find a reliable web host on your behalf. Make sure to install WordPress. Install some basic WordPress themes. Set up with Google tools by yourself. Install the required WordPress plugins. If you are all set ready, then you can have a happy blogging. The below tips will help you to become successful in your food blogging and making money from it. Decide what type of food blogging you are most interested in so as to start it. It’s quite interesting to follow niches then regular topics to make your blog more interesting. You can also consider choosing some sort of niches including some health-conscious content, carb, calorie burns, a special recipe, and so on. As a blog name is the first thing that hooks the readers to be very careful while choosing blog names. The blog name is also the domain name for your food blog. Be very precise and flash the readers with your unique blog name. Catchy blog names are more preferred and or even easy to remember. This could easily drop lots of visitors to your food blog. There are many free bloggers that offer you with the facility to create a blog for free of cost. To be successful in your field you need to purchase your own web host. They will provide you with your own domain name and some other unique features based on the web host that you have selected. Always try to choose a web host that provides easy installation of WordPress as it is unique and easy to learn. You can easily check and know how you can install WordPress on your web host. This can be easily explained by the host that you have selected. After the installation is completed, you can select the theme that works well on your food blog. To set the themes simply go to the dashboard in your WordPress accounts and then select the appropriate food theme had to connect to install. To retain the interest of readers choose a theme that is more responsive and easy to navigate. It also gives you an option to purchase any sort of themes as they are even free themes available for you. Most importantly you should take some care to install plugins as this will maximize the site. Some of the basic plugins are Askimet for comment spam filtering, caching to upload your content faster, Google Analytics and social media tools as these are helpful for people to show your content on social networking sites. It’s also interesting to add some sort of food plugins that makes you easy to enter and print recipes. Do you know that making an email list will help you to generate more money? If no then make an email list of your own. It’s quite simple and the only thing you need to do is to email your list of recipes to the people. This is a sort of reminder for people to visit your blog regularly. Apart from mailing recipe list, you can also use this service to offer some promotions. Once your food blog is ready to make sure that you had lots of recipes to eat. You can even create your own blogging schedule that will have several recipes in a week. Most importantly when you add any recipes keep in mind to take the photos and provide step by step procedure and instruction to make it more interesting. You can even add your own experience while you are making your blog. Always try to promote your blog and create interest for the readers. Create your own social media accounts such as Facebook, Twitter or Pinterest and try to make your readers know that you really exist. Have the interesting conversation with your readers by comments or messages through any of the social networking websites. You can even make a short video and post it on the websites. Another important factor needs to be considered is that you can also make the online marketing plan to reach your target. To wind up blogging is always a business so be very cautious while taking care of legal matters that include taxes and business permits. And this article will definitely make you be unique in the food blogger field. Great to See you here on Erik’s blog. Blogging is all about your passion and how you can help others with your passion. 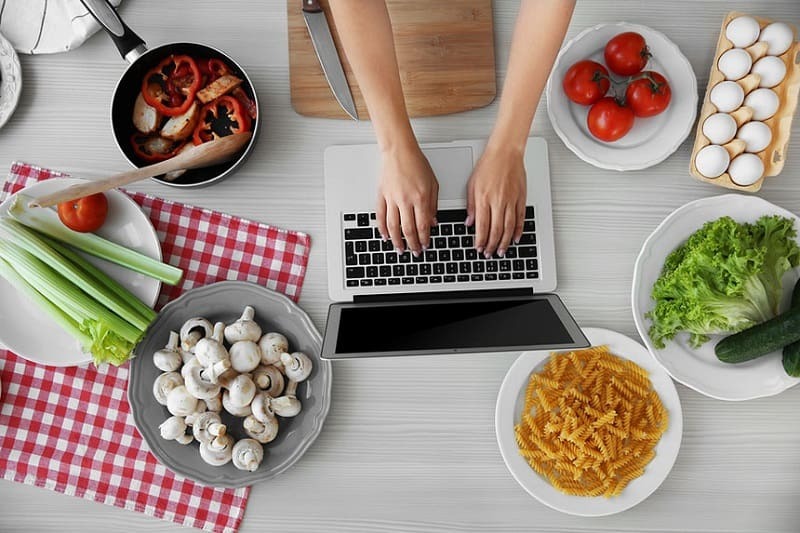 Cooking is also an evergreen blogging niche and many aspirant bloggers can start their food blog and make most out of it. You have mentioned everything on how to start a food blog and I think it will surely help newbies as well. I am glad you liked your my post. Thanks for the kind words. Blogging is best way to explaint the thing that you love, There are various types on different niches. Some Bloggers do Blogging for their passion/Hobby and some do for money. Well this article is really good that taught a good way to learn money as Food Blogger! I am glad that you liked my post. The food blogger can earn a good amount if done properly. I have started Tea Book Sketches that is a site on tea and I write about tea, new media, and my self-publishing journey of my first forthcoming book on (black) tea. I simply can’t start a beverage blog because it needs time and effort and experience in the same niche which I Don’t have. And yes, I drink tea. But I have some suggestions for you if you have plans to run a blog or site about beverages then you should try to explain to the people why they should it buy it or know about it and share the benefits if there are any. Or even you can write about the different brands, tastes and some other things which you might be knowing more than me. Great find right here! Thanks for the wonderful blog Robin! I am into Theater and was planning on starting another blog about Theater, Though I wasn’t so sure how to start with this kind of niche, until I read your reply on Martin’s comment. I am glad that you find the post and comments helpful. Except for item #7, these tips can be readily transferable to any niche other than food blogging. The tips you shared are universal and can be adapted to any niche with some minor modifications. Great piece! Problem is that most new bloggers always seem to be in a hurry and aren’t willing to take the time and adopt true and tested methods. They want instant results!